We lend up to 90% LVR Loan to Value Ratio LVR is the proportion of money you borrow (loan) compared to the value of the property. 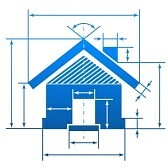 to construct a home or investment property. Our specialized construction department provides a direct contact point and will ensure claims are paid promptly.